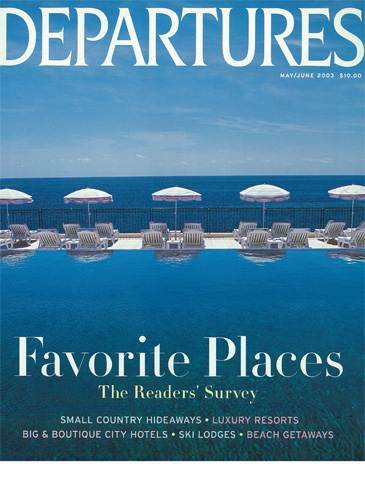 Departures 2003 Magazine features Ultra Marine Yachts who talk about their selection of Super Yacht Charters. PRIVATE YACHT along the Inside Passage so you can get right up against the glaciers, under hot springs, and far up into fjords (or arms) too narrow for the large ships. Cindy Brown of New York's Ultra Marine, a specialist in arranging yacht and cruise vacations, recommends CEO Expeditions' luxury yachts the Katania (a 100-foot Burger with three staterooms; $29,900 per week) and Kayana (a 120-foot Vosper-Thornycroft with five staterooms; $59,900 per week) for the quality of their accommodations, meals, and crew, including an onboard naturalist. Prices do not include food and beverage costs or the captain's fee. Ultra Marine, 888-858-7212; www.ultramarineyacht.com."